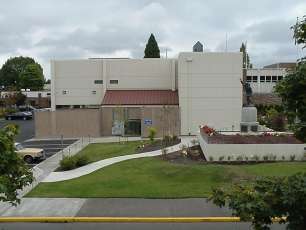 The Yamhill County Juvenile Department is an agency within the Yamhill County Department of Community Justice. The Juvenile Department consists of Juvenile Probation, Juvenile Corrections, and Victim Services. The Yamhill County Juvenile Department provides its citizens the highest degree of professional service to the youth and families within our County. The Juvenile Department is dedicated to the development of effective and cost efficient programming in the areas of prevention and treatment, at the same time protecting the community from delinquent behavior and affording juveniles the opportunity to learn, grow and become responsible for their actions. Training and educating youth with regard to juvenile delinquency, its cause and effects are paramount in the continuum of services provided by the Department. In that regard, the Departments philosophy is to educate, promote and inspire youth to take individual responsibility for their actions and behavior and to educate families and the public in the preventive efforts required to reduce and eliminate juvenile crime. We are committed to educating young persons in their duties and obligations as lawful and responsible citizens of this community while responding effectively to the needs and concerns of community members who are the victims of crimes committed by youth.